penalties in what was an exceptionally clean match. both teams were a credit to their respective clubs on the day. 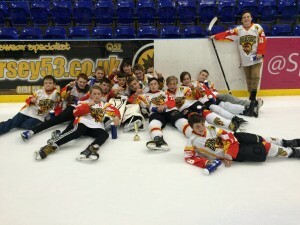 The U18 Bulldogs had their first away game on 12th September away at Altrincham to the newly formed Trafford Tornados. The game opened with a goal from the Bulldogs at 0:07 from Abbie Culshaw, assisted by Josh Richardson, closely followed by a second one which unfortunately was disallowed. The Tornados finally found the back of the net with an opening goal from Alfie Glenn. At 10:06 the Tornados scored again taking the lead. Closely followed by an equaling score from the Bullodogs number 19 Josh Richardson, assisted by Ryan Kemp. At 23:24 Corey Stones scored the third goal for the Bulldogs, and this was followed by a Tornados goal at 27:04. The third period was hard fought from both sides, but goal less by both teams and a complete clean sheet for penalties for the Bulldogs throughout the game. Final score 3 all. MVP went to Abbie Culshaw. This was a decent score for the Bulldogs who had a relatively short bench, against the four lines of Trafford. 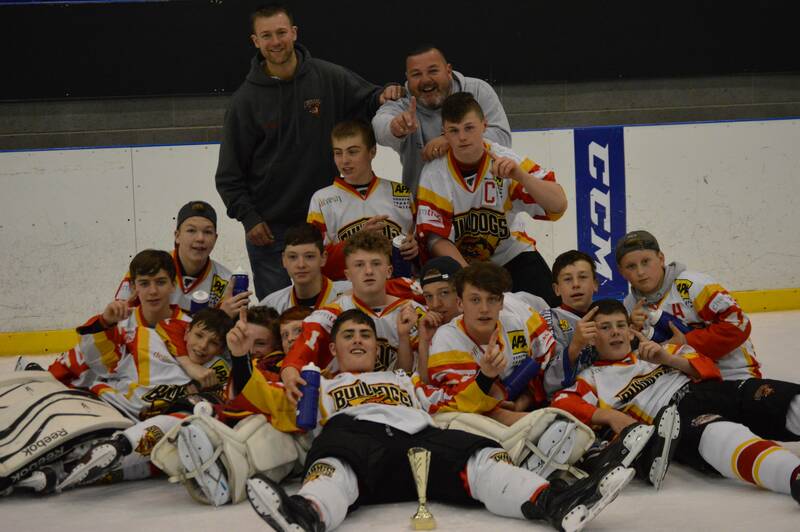 Bradford Bulldogs Ice Hockey Club ended its season in style by winning the prestigious Sheffield U16s tournament and being awarded the English Ice Hockey Association’s development award, in the same weekend. 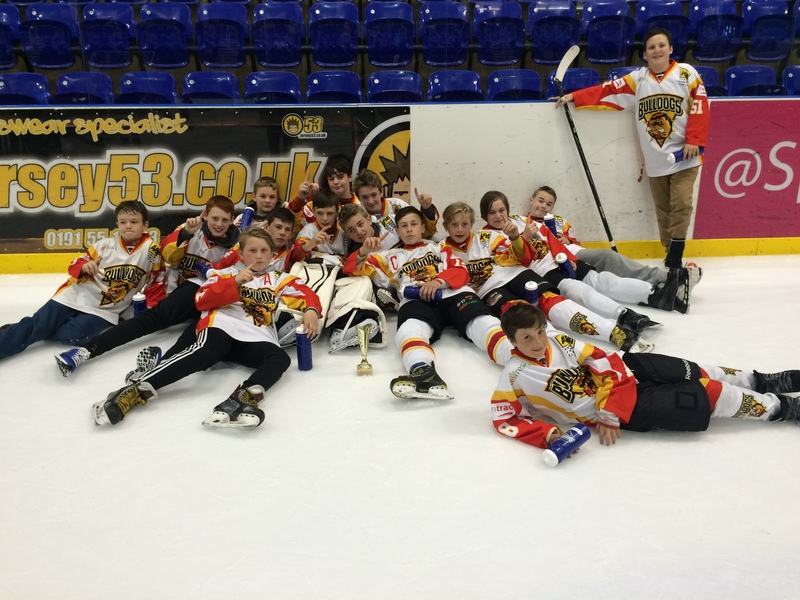 The Bulldog U16s took on seven elite junior teams from England, Scotland and Wales in this high profile, two day annual event, held in Sheffield. The Bradford team topped the table at the end of the group stage and faced local rivals, Sheffield Rapiers, who they had beaten earlier in a nail biting 2-1 game. 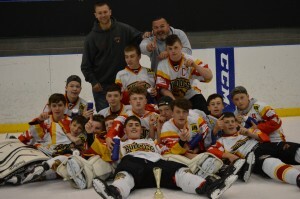 The Bulldogs stepped their game up another level in the final, with a clinical display of puck movement and deadly finishing in front of net, to take the title 6-2. 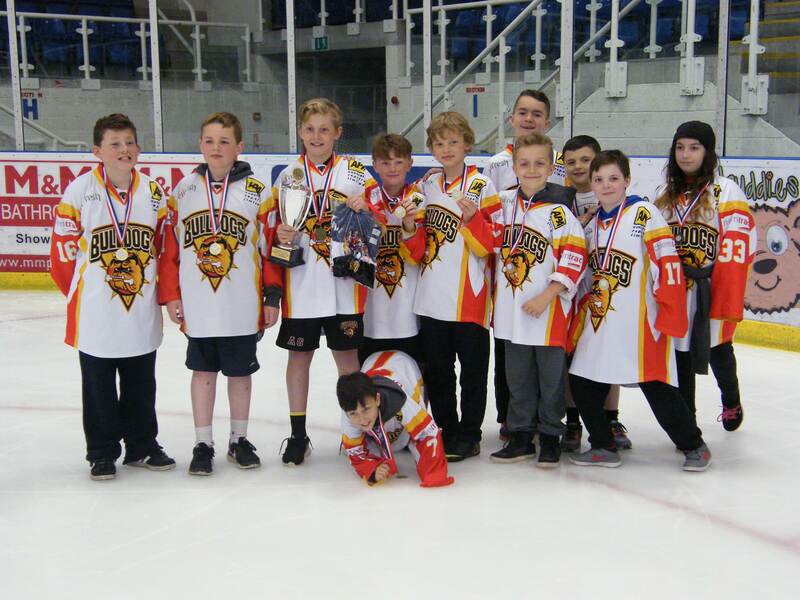 On Saturday, the English Ice Hockey Association held its AGM in Nottingham and announced that Bradford had won the EIHA Award for Development (North), for the second consecutive year. The award is recognition of the Club’s achievements in Junior Ice Hockey and its commitment to developing players from the ages of 5 to 18. Andy Brown, Head Coach said “We have had a fantastic weekend to end the season, with our Under 16s playing to the standard I know they’re capable of and to receive the Development Award for the second year running was a huge achievement for everyone associated with our club”.